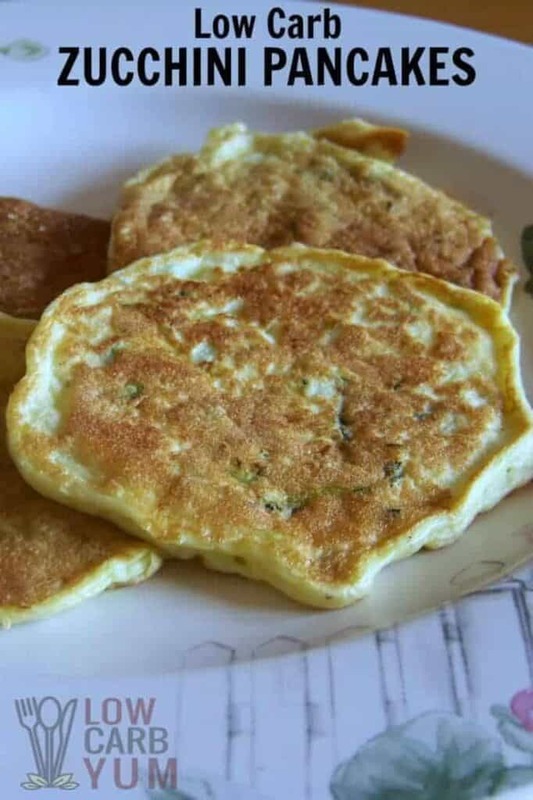 These low carb zucchini Carbquik pancakes are one way to use up some extra summer crops. 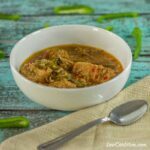 Can be enjoyed at breakfast or as a side to dinner. I had some Carbquik baking mix and decided to try a different type of zucchini quick bread. Rather than a sweet bread, I make pancakes with added zucchini. 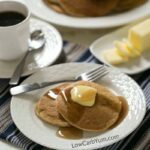 Forget the maple syrups as these tasty hotcakes taste best with just a slab of butter on top. 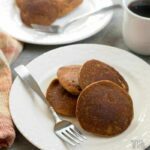 They are perfect for breakfast or to enjoy as a side bread along with dinner. 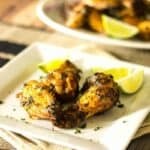 You can even eat them as a savory low carb snack. 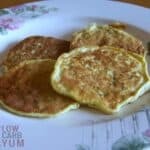 These low carb zucchini Carbquik pancakes are also delicious eaten plain. Or, serve with a little sour cream. 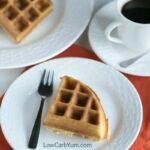 If you are gluten free, simply replace the Carbquik baking mix with another low carb flour. It’s been a very good year for zucchini so I’d like to try them as fritters too. 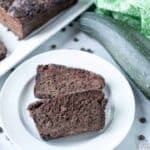 I’ve even made a sweet low carb apple fritter bread using zucchini. Yellow summer squash typically does much better in our garden than the zucchini. We haven’t mastered the art of gardening yet, so maybe one day we will figure out how to get decent crops every year. 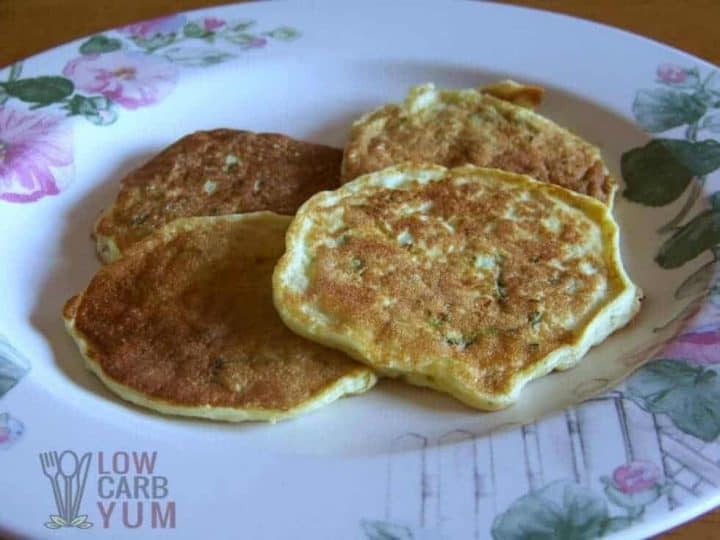 I’ll certainly be making these low carb zucchini Carbquik pancakes again. I’ve been moving away from gluten and have tested these with a blend of almond flour and coconut flour. 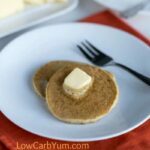 Although the original recipe is wheat based pancakes, it’s easy to replace the low carb baking mix. I like to use a 3 to 1 blend of almond to coconut flour. But, there’s also a good substitute here. What’s your favorite way to use up a bumper crop of zucchini? 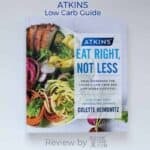 Do you make a low carb zucchini bread or do you prefer a savory recipe? These savory pancakes with zucchini are one way to use up some extra summer crops. 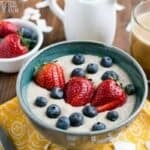 Can be enjoyed at breakfast or as a side to dinner. Drop by large spoonfuls into skillet. When brown on one side, flip over and cook until brown on other side. 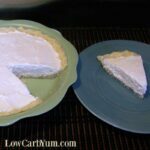 A blend of 3 parts almond flour to 1 part coconut flour can be used in place of the Carbquik.